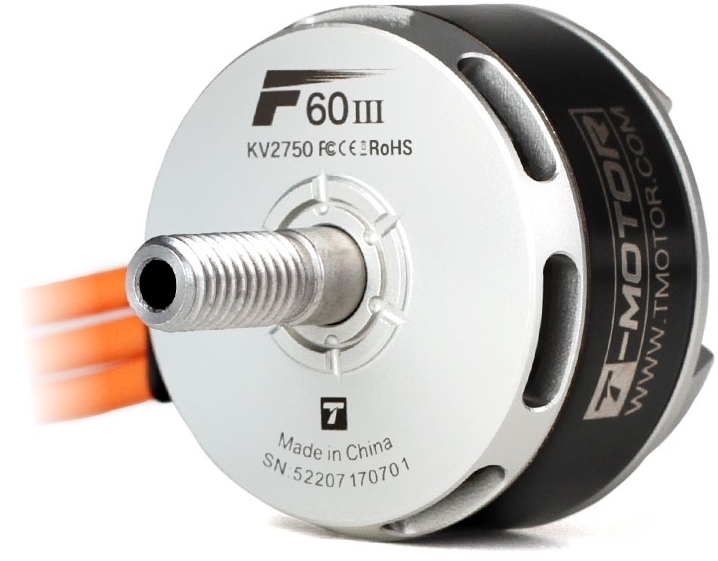 Reload your FPV with the new design of a classic! 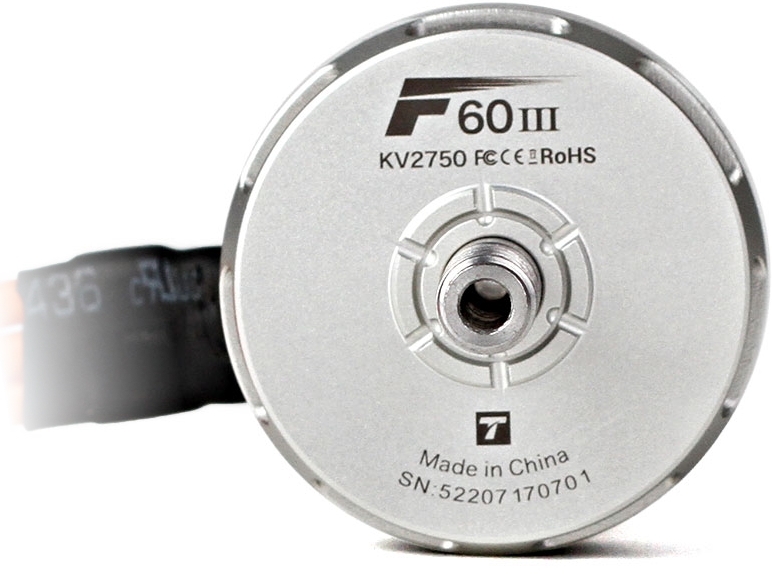 F60 III motors have been optimised with curved magnets and take design cues from U5 motors for improved strength, impact resistance and stall protection. 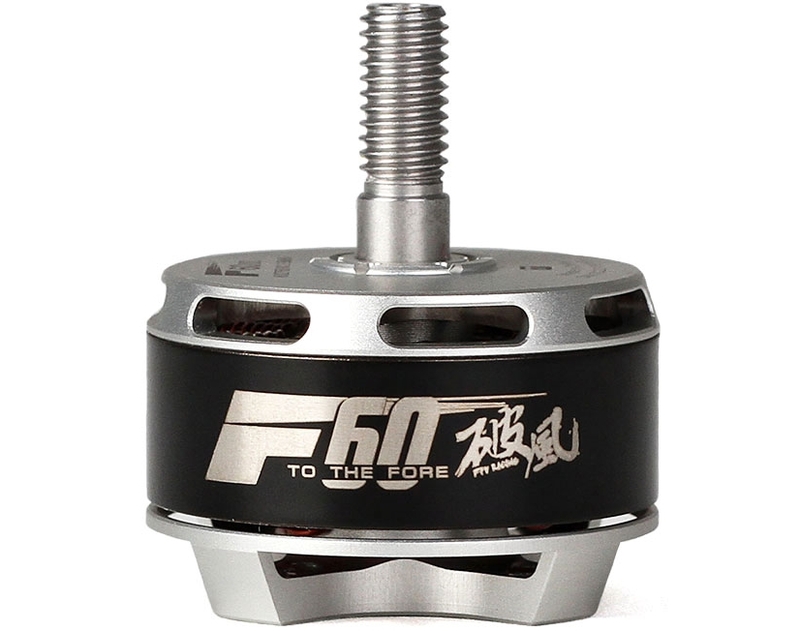 The maximum thrust of the F60 range has been increased by 250 grams and the M5 shaft has been elongated slightly to allow a diverse range of propellers to be mounted. 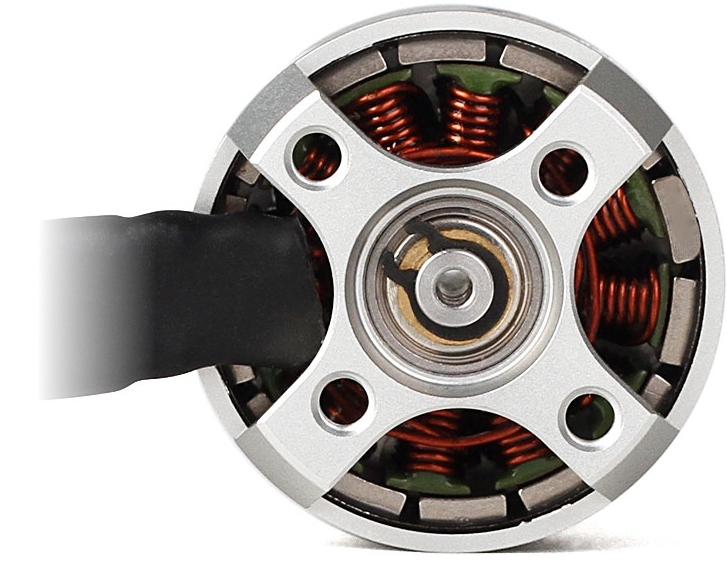 Motor Volts Prop Throttle Amps Power Thrust RPM Efficiency Temp. Also available as a 2500kv and 2750kv.